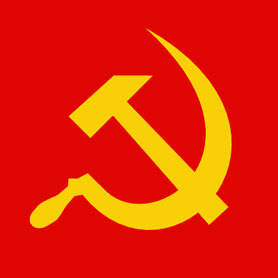 CAGAYAN DE ORO CITY, Philippines (Mindanao Examiner / May 4, 2011) – Communist rebels have seized assorted weapons in a daring raid on a police station in the southern Philippines, a spokesman said on Wednesday. Emiliano Libertad, of the New People’s Army – Ignacio Balacuit Command, said rebel forces swooped down on the police headquarters in Bukidnon’s Malitbog town on Tuesday afternoon and disarmed its guards. “We have seized eight M16 automatic rifles, three automatic pistols and two revolvers in the raid and we have taken control of the police station without firing a single shot in just 30 minutes,” he said. He said the police station is near the provincial police base and an army post and security forces were not even aware of the raid. “This raid is part of our tactical offensive,” Libertad said. Libertaed did not say how many rebels were involved in the raid, but police and military authorities claimed as many as 50 gunmen had taken part in the operation. Thanks for the information, I don't have any ideas regarding on this kind of issues until i read this article.